Build the aquarium of your dreams or give your existing fish tank a much needed overhaul – All Glass and Glazing has the outstanding quality products to get the job done! 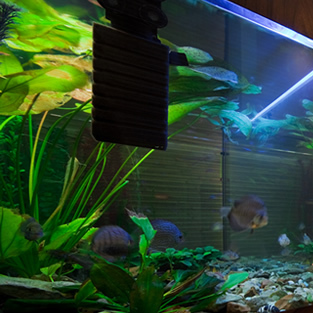 We offer a comprehensive aquarium glass manufacturing service Bowden for public and trade customers alike. From the smallest home aquarium repairs to the largest commercial tank installations, we specialise in only the most capable, reliable and affordable glass products. Our extensive experience in fish tank glass design, manufacture and retail allows us to offer comprehensive and impartial advice on all aspects of aquarium repairs/maintenance. Regardless of the scale of the project or the budget you have to work with, you simply will not find a better deal on elite-quality Fish Tank Glass Bowden. The importance of flawless performance and exceptional strength when producing aquarium glass is total. For integrity or durability to be compromised for even a moment could result in the catastrophic failure of the tank as a whole. Everyday glass and glass manufacturing techniques simply do not make the grade for use in aquariums – an entirely stronger, tougher and more dependable grade of glass is required. Here at All Glass and Glazing, we’ve been working with customers across the North West of England on ambitious projects for many years now. We’ve overseen and been involved in dozens of large and small aquarium builds, while supplying thousands with essential replacement parts and panels. We know exactly what it takes to manufacture aquarium glass with the required durability and integrity. As an independent family business, we’re uniquely able to offer our customers 100% impartial and objective advice, free from all the usual brand bias. We take genuine pride in facilitating outstanding results for the lowest possible price, regardless of the size, scale or nature of the project. Whether looking to simply replace a broken panel or considering an ambitious aquarium design project, we’d be delighted to hear from you to discuss the details. For more information on the toughened glass products we offer or to discuss a quotation, give the All Glass and Glazing team a call today on 0161 427 7800.